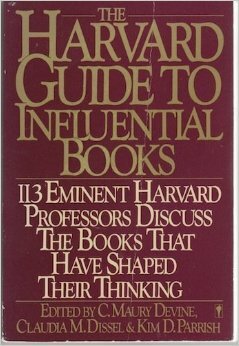 Found in The Harvard Guide to Influential Books: 113 Distinguished Harvard Professors Discuss the Books That Have Helped to Shape Their Thinking. B.F. Skinner is a legendary psychologist. Building on those who came before him, he is regarded as the father of Operant Conditioning. His analysis of human behavior culminated in Verbal Behavior and Walden Two. Here is what Skinner had to say about which books influenced him and why. The books that have been most important in leading me to my present position as a behaviorist are not books that I would recommend to anyone seeking to understand that position. They were important, not so much because of their content, but because of their bearing on my life at the time I read them. A mere accident sent me to Sir Edwin-Durning-Lawrence’s Bacon is Shake-speare, and that book sent me in turn to all I could find of, and about, Francis Bacon. I have acknowledged the role of three great Baconian principles in my life, but I would not send anyone to Durning-Lawrence to discover them. Gray’s How Plants Grow, my high-school botany text, taught me, with the example of the radish, how living things pass on to the future the contributions they have received from the past. Later I found the same theme in Hervieu’s “La Course du Flambeau,” but I would not send anyone there for further instruction. I was greatly influenced by the first third of Bertrand Russell’s Problems of Philosophy. According to his biographer it was “written at speed for the American market,” and it certainly is not regarded as one of Russell’s great books. Pavlov’s Conditioned Reflexes taught me the importance of controlling laboratory conditions, but I soon departed from the Pavlovian paradigm. John B. Watson was important, of course, but I read only his Behaviorism, a book written for the general public. I am not sure I ever read his Psychology, from the Standpoint of a Behaviorist. This is all perfectly reasonable, since, after all, if anything I have done is “creative,” should we expect to find it in anything I have read? For more in this series check out the books that influenced E. O. Wilson.